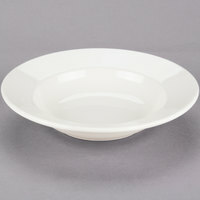 Serve classic soups or specialty pastas in this Choice 13 oz. ivory (American white) rolled edge china nappie bowl! Perfect for salads and side dishes, the rolled edge china nappie bowl is great for restaurants, diners, cafes, and coffee shops. Sporting an elegant design, this nappie bowl is sure to accent any decadent soup you place before your patrons. Plus, the ivory (American white) color complements any table setting or restaurant decor to accent your theme and make your food shine. "A great white china bowl. Great look and big enough to hold a main course and small enough to hold a soup side or sauce." 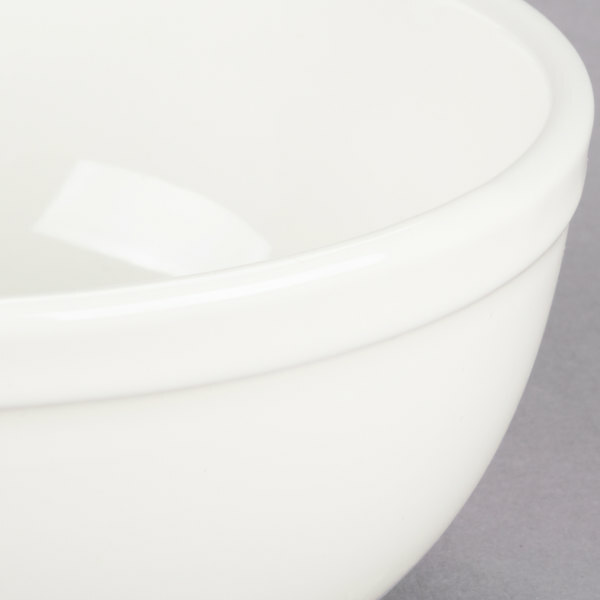 This nappie bowl elegantly frames your food to enhance the presentation in a simple, yet timeless way thanks to the ivory (American white) color and subtle border along the top edge of the bowl. Thanks to the 13 oz. capacity, this bowl is the ideal for solution for cereal bars or soup and salad bars since it can comfortably hold an ample amount of food without overflowing. Made from durable china, this nappie bowl is capable of withstanding chipping and scratches to give you years of dependable service. Each nappie bowl can be stacked, allowing for optimal and efficient use of your storage space. Inexpensive bowls. A little bulky but does the job. i was surprised by the color at first, American white is not white... Careful with that. This is just a basic bowl that is extremely cost effective. It is a great size for oatmeal and soup. Shipping was very fast and no damages. 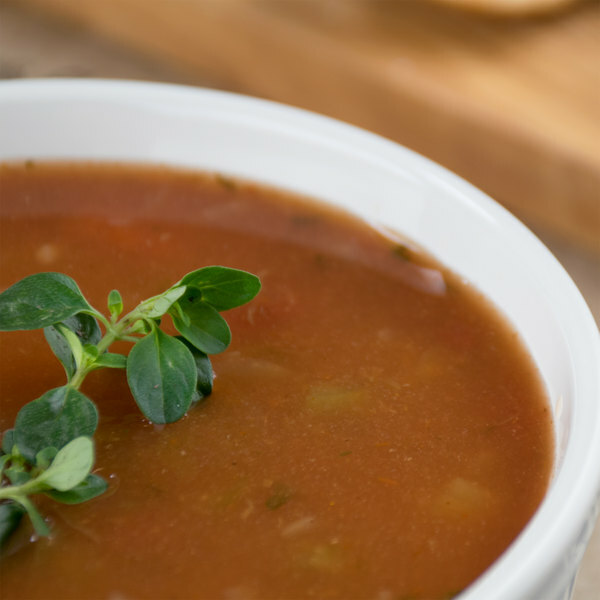 These bowls are great- they are affordable, hold up well to repeated use in our restaurant, and look nice for bowls of soup. Some have tiny flaws in the glazing but I suppose it's to be expected for the price. We are very happy with them over all. These are essential for any full-service restaurant of banquet facility. These are extremely strong and durable with virtually no chips, cracks or breakage. The design and color compliments or interior décor nicely. We got these for a special event to use for serving ice cream and cookies, but we are planning tor reuse them for soups, as they are a great size for a big, hearty helping of soup or chowder. I was looking for an "all purpose" bowl for a while and could not find the right match. This turned out to be perfect, i use it for salads and soup everyday. Customers also love it! Choice is a great brand of dinnerware. Love the bright white color and the heavy duty nature of this china. 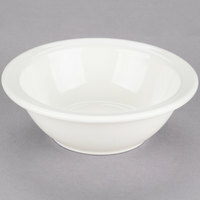 The 15 ounce nappie bowl is a great bowl for stews, chowders, or even pot pie. A great white china bowl. Great look and big enough to hold a main course and small enough to hold a soup side or sauce. Great cereal/soup bowls. Durable and simple. 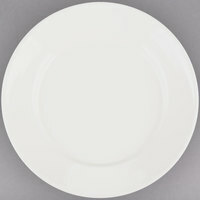 I own a vacation condo and so far my guests haven't broken or chipped any, unlike other dinnerware I bought somewhere else. 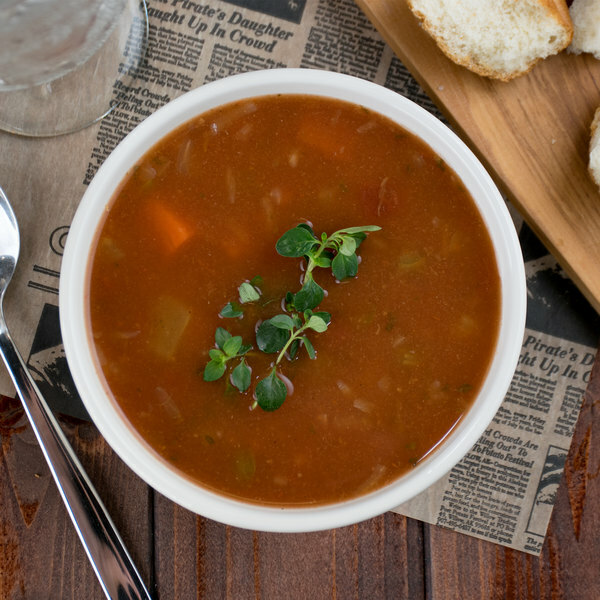 These bowls are super durable, and the perfect size for our soups, which we portion at 12 oz, leaves a little room on top for no spilling! 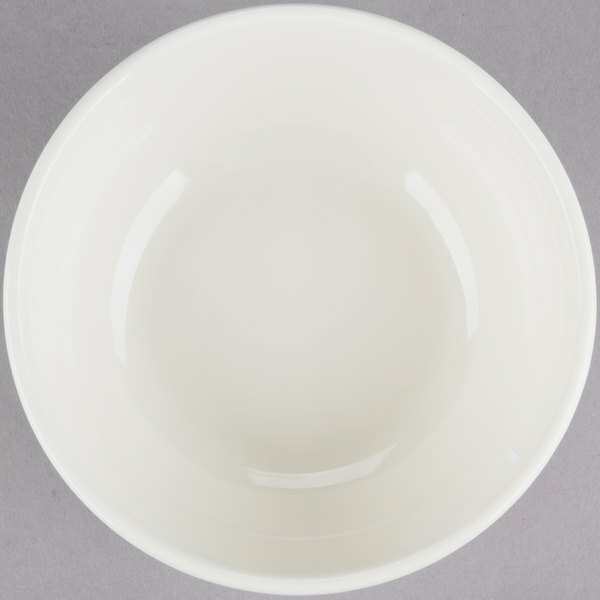 A quality china cup for serving soup or cheese dip in our restaurant. Easy to clean and the finish holds up well after repeated washing. 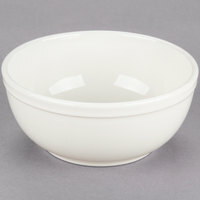 Grest bowl for oatmeal, grits or soups - keeps the food hot for a long time. Our customers have noticed the change from our old stock and they have commented how much they like it as well. I love these bowls. They are great for ice cream. Lovely color and just as cute as can be. Perfect size and very useful. Very happy with them.